WELCOME to the 2019 golf season. First I would like to thank Mary Beth and Carol for stepping up and leading us through a fun filled 2018 golf season. This just shows what great members we have. Secondly, we made it through our first year using Venmo. It had challenges but we'll continue to improve it. This year we'll be adding the ability to pay your fees for TEAM PLAY and TRI - LEAGUE via Venmo. Also, we'll continue to go paperless, but if paperless is not for you, you still can mail your entry form and pay by check. The entry forms will be emailed out every Sunday evening of the opening dates to the reps. This will be the year to "EMBRACE THE CHALLENGE!" As you will see, we are trying new days for events, like the Charity event will be on a Saturday. The Championship will be broken up into two weeks instead of playing three days in one week. Please print the schedule so you can plan your summer golf with GCGA. Our first event is May 23rd at Fox Meadow, bring a guest day and sign both up to play on opening day. Any questions or concerns please let me know. Thank you to Lori Angelo and Barb Gorka for securing this years site for our championship, Quail Hollow. Wonderful week of Golf, food and Freindships! The Quailie ladies went above and beyond to make this a great event for all the GCGA ladies. 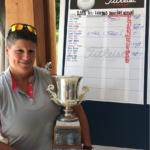 Congratulations to Renee Dietz of Fox Meadow for winning her 3rd GCGA Championship. Her two other wins were in 2005 at Rawiga and 2010 at Spring Valley. Our Runnerup this year was Diane Sabo of Quail Hollow. This was Diane's first time in the finals. 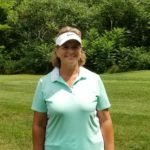 Other winners include, 1st flight Janine Delong, Quail Hollow, 2nd flight Barb Molter, Legend Lake, 3rd flight Laura Silver, Walden, 4th flight Joanne Montz, Stonewater. Please visit tournament winners, 2018 championship for a complete list of all the winners. Congratulations to Laura Pickwick (Madison) for winning Tri-League this Year. It's Laura's 4th year in a row for winning, quite the feat to do this. Runner-up Lori Angelo from Quail Hollow. Other winners include: Cindy Acker & Rose Marie Torma from Westfield. Lauri Keller, Nancy Noble and Theresa Cremeans from Ashland. Diane Walker, Fox , Barb Gorka, Quail Hollow, Angie Gubanc Walden and Ginny Solomon Stonewater. Congrations to Westfield on winning their 3rd consecutive team play. The Special Membership Golfers classification, designated as SMG, will be available again this year. To be eligible golfers must be a former member of GCGA and may not be a member at a course that is a current member of GCGA, WADGA or CWGA. They will be expected to follow all GCGA rules.The annual dues for this membership is $20 and they may participate in the events as designated on the Entry Forms. Championship and partner events are excluded unless specified on the schedule. They will pay the same entry fee for each event as full members, but will not be eligible for cash or trophy prizes and awards and should not hand in their card on completion of the event. They will be able to participate in the 50/50 raffle. Please let your friends, who are no longer GCGA members, know of this special opportunity. Please contact Mary Beth Lyons at mbcoachlyons@msn.com or 440-487-6360 to learn how to sign up. You need Adobe’s Acrobat Reader to access the links to the PDF files on this website, If the Adobe Reader is not already installed on your computer, you can download it free of charge from the Adobe website. Maps and directions to all member clubs may be obtained by clicking on the About Us section of this website. Dowloadable (PDF) Scorecards from each of the Member Clubs have now been added. They may be accessed by clicking on the Scorecard link on the Member Clubs dropdown menu (About Us - Member Clubs). Links to scorecards are also on each Member Club profile.